Ends at 8pm so you can watch the debate at 9pm. 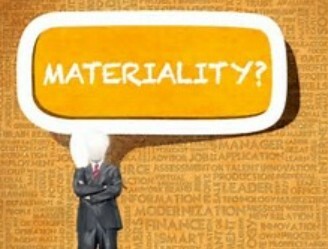 This program begins with materiality as a key component of financial reporting and disclosure. Our intended audience includes students and early career professionals, and all IMA members and guests. Building on the resources of authoritative bodies, with a focus on materiality, Professor Domenic Savini opens with materiality basics. The presentation illustrates opportunities for aligning materiality to risk management practices and a discussion of quantitative assessments as well as the importance of qualitative considerations. Examples of application include the increasing relevance of the COSO Framework as key guidance for an effective internal control program. The session concludes with a question and answers period. Domenic N. Savini, CMA, CPA, MSA, is a consultant with over 30 years of experience as an accountant, auditor, financial analyst, and CFO. He has over 10 years of experience as an adjunct accounting professor teaching both graduate and undergraduate courses. As an entrepreneur, Professor Savini founded EthicQuest, LLC, an independent professional training consultancy dedicated to enhancing ethics in the accounting profession by providing exam preparation training to accounting and finance professionals pursuing professional certification and recognition as CIA’s, CMA’s, and CPA’s. Professor Savini’s presentation features the intersection of interests, professionalism, and leadership in a variety of roles, including examining the issue of materiality from the perspective of FASAB, FASB, and the International Accounting Standards Board (IASB) as convergence and harmonization continue in our professions. Veggie Skillet: Broccoli, mushrooms, peppers and tomatoes with skillet browns & shredded cheese. Mark your calendar and check our website for details!